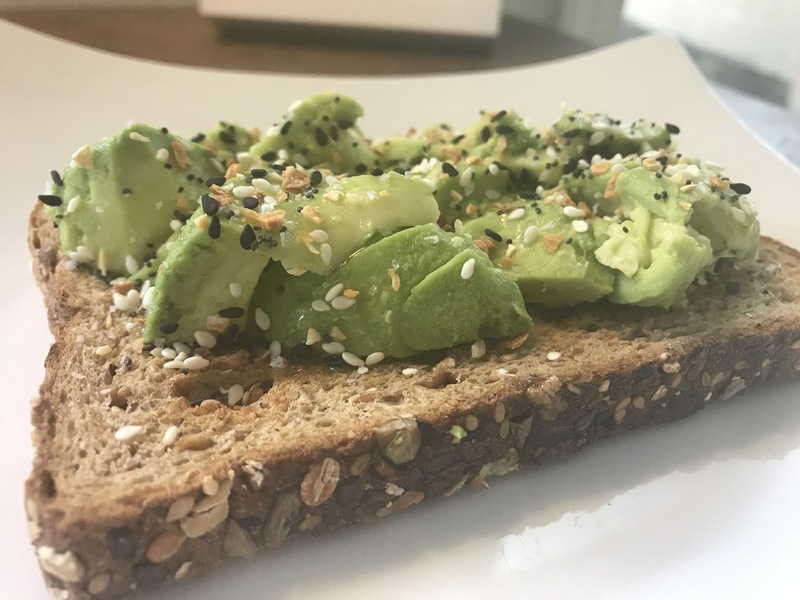 Avocado Toast – WellPsyche. Beyond. Seriously, this is one of the easiest, most satisfying (and trendy) breakfasts you can make. It’s delicious when you make it in under 5 minutes and eat it in the car on your way to work. It’s equally delicious and surprisingly impressive when you serve it to guests at your next backyard brunch. 1 or 2 slices of whole grain, dairy and egg free bread. my absolute favorite is Dave’s Killer Organic Bread, which packs an impressive 10 grams of protein in two slices. Salt, pepper and garlic powder OR this amazing Everything but the Bagel seasoning from Trader’s. Put bread in the toaster. Slice your avocado, place in bowl and mash it a bit with the back of a fork. Squeeze fresh lemon juice over the avocado. Spoon avocado mash onto toast. Sprinkle generously with salt, pepper and garlic powder or Everything but the Bagel seasoning.